Depending on whether you’re relocating to a new home or office, your moving needs are going to be very different. Here’s how to tell the difference between Calgary commercial movers and residential movers and how to decide which is the right option for you. At Precision Movers, we offer a wide range of services to make your moving day as easy, stress-free and fun as possible. Whether you need help packing or disassembling large pieces of equipment and furniture, we have the equipment and skill necessary to ensure your relocation is done as smoothly and cost-effectively as possible. Residential vs Commercial Movers: What’s The Difference? Whether you’re planning to relocate your office, or you’re moving to a new home, finding the right moving company makes all the difference in how smoothly the transition goes. For both homeowners and business owners in Calgary, Precision Movers can help with commercial and residential services, be it a long distance or short distance move. To help you better understand the key differences between residential and commercial movers, and to help you make a more informed decision for your relocation, here is some useful information. When you move out of your home or apartment and into a new place, this is considered to be a residential move. For homeowners/renters. It’s very important to ensure that all your personal belongings are safely prepared and transported to prevent unwanted damage. They’re focused on individual clients and target everyone. Home relocations are much more numerous than business ones, hence the competition is very big. Residential movers tend to nurture their relationships with their clients more than commercial movers. They use common moving equipment and regular moving trucks. Often, they’ll have a specialty service such as a piano moving or luxury furniture moving service. 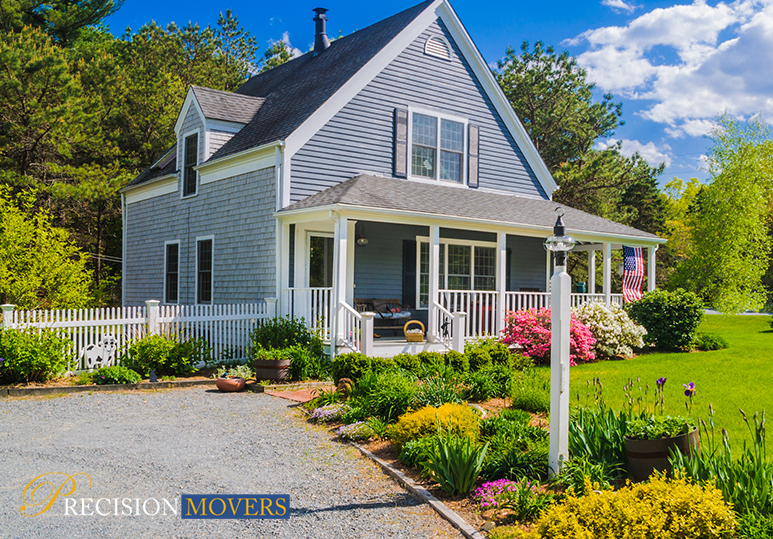 There are many steps to moving homes - from securing a realtor to making an offer on your dream home, and packing up your old one - and it can be a very stressful experience. That’s why enlisting the help of residential movers is so beneficial. These professionals will handle your belongings with the utmost care and get you set up in your new home safely and efficiently. From small shops to large-scale organizations, anytime a business is relocated, it’s considered the job of commercial movers. Business owners have unique challenges when moving, as business equipment such as electronics, machinery, and other corporate property can be fragile and cumbersome. Their primary clients are companies. Business equipment can be very delicate, hence commercial movers must go through extensive training and use specialized equipment. Commercial movers offer other services, such as office planning, which is very beneficial for customers who want to use every corner of their space. In addition to residential moving, Precision Movers also has an experienced team of commercial movers who can make the transition to your new office as safe and hassle-free as possible for you and your employees. Within the shortest time frame possible, your company will be up and running at its new site, so you won’t waste any valuable productive time or sales. To find out more about our comprehensive residential and commercial moving services, and how our movers can make your relocation as fast, stress-free, and affordable as possible, contact our Calgary office today at 403-540-4393 or fill in our online contact form.